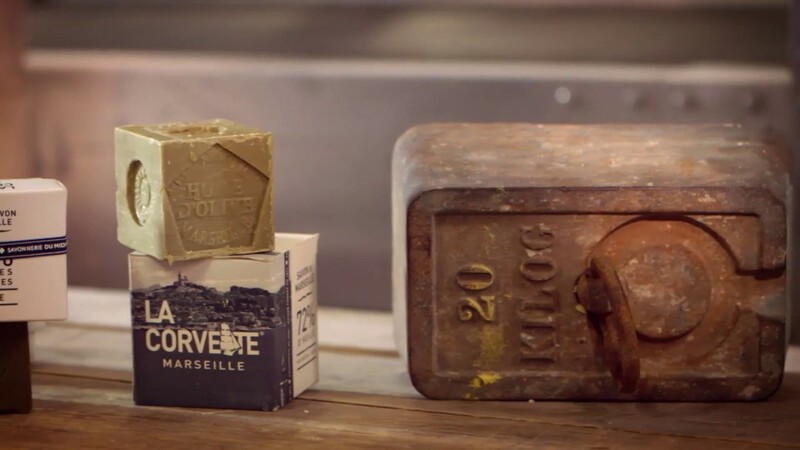 For more than 120 years, Compagnie du Midi has been making traditional Marseille soaps in the best tradition, of which La Corvette is a supreme example: a blend of history, tradition and expertise, often imitated but never equaled. with a product that guarantees quality for all. Compagnie du Midi offers a wide range of products from this historic tradition, adapted for contemporary needs and suitable for all the family, while respecting both the environment and traditional French expertise. Many of these authentic products – designed either for body care or domestic use – bear the ECOCERT label. Compagnie du Midi is a member of the COSMEBIO charter since 2007. La Corvette is proud of its Marseille origins! The term La Corvette originally referred to the small three‑master that set sail from the port of Marseille on discovery missions around the Mediterranean sea. In the 19th century they were used to supply Marseille’s soap factories with raw materials. The voyage continues to this day, with traditional products designed to meet modern needs. Four of the last remaining soap factories in the Bouches-du-Rhône (south of France), including the Compagnie du Midi decided to join forces in 2011 by setting up the Union of Marseille Soap Professionals (UPSM), with the aim of protecting real Marseille soap. They signed a charter which guarantees the composition of traditional Marseille soap, the origin and the manufacturing process. La Corvette products are fully compliant with the requirements set out in this charter and bear the registered logo.